Johnny Cash was a legend of mythic proportions even when he was alive. “The Man in Black” and the life that he lead, his struggles with drug addiction, his courtship of June Carter, and his antagonistic relationship with the Nashville country music establishment are all well known. 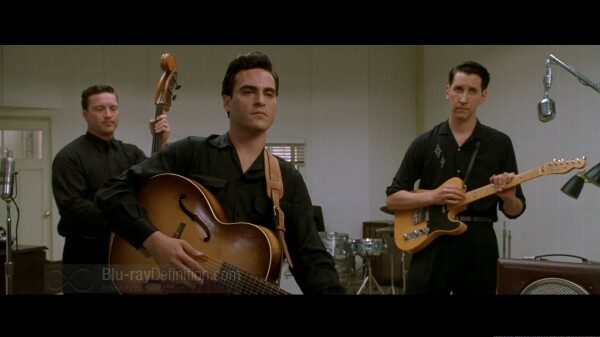 So when director and co-writer James Mangold (Kate & Leopold; Girl Interrupted) took on the task of making the biopic, Walk the Line, one wouldn’t expect much new in the order of revelations to be added to the Johnny Cash story. The film travels the typical road of biopics and it covers the early portion of Cash’s tumultuous career and the relationship between Cash and June Carter. 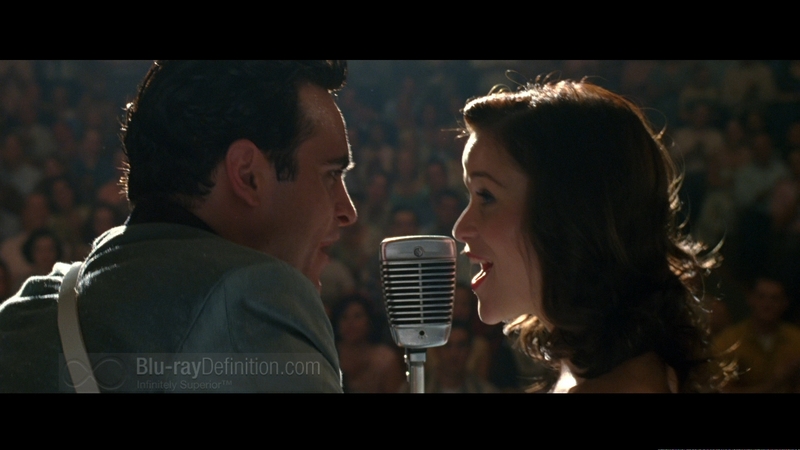 Joaquin Phoenix and Reese Witherspoon take up the roles of Cash and Carter and each do their own vocals for the musical performances. There are moments when Phoenix is almost believable as the baritone-voiced Cash, but it is Witherspoon who most shines vocally and in her portrayal as the strong willed sassy southerner Carter who saves Cash from his demons. 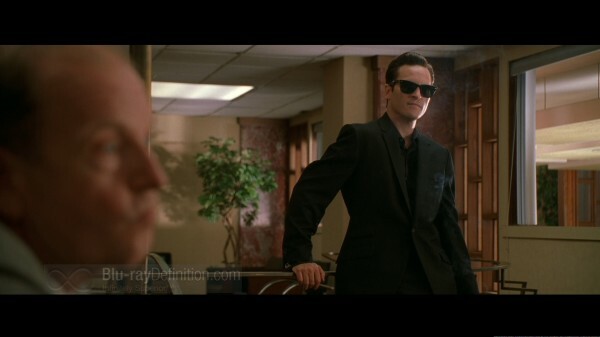 The film treads no new ground, but it is riveting nonetheless and entertaining for its music and cameos from Cash’s “contemporaries” such as Elvis, Roy Orbison and Jerry Lee Lewis. It tells an interesting tale of triumph and redemption, and proves that Reese Witherspoon is certainly an actress worthy of roles beyond the airheaded Legally Blonde films and saccharine romantic comedies like Sweet Home Alabama, but we already new that, given her turn in Election, didn’t we? Walk the Line’s 2.39:1 AVC/MPEG-4 1080p encoding is clean, detailed, and free from any artifacts. Black levels are deep and stable, as evidenced by the black suit sported by Joaquin Phoenix, and shadow detail is strong. 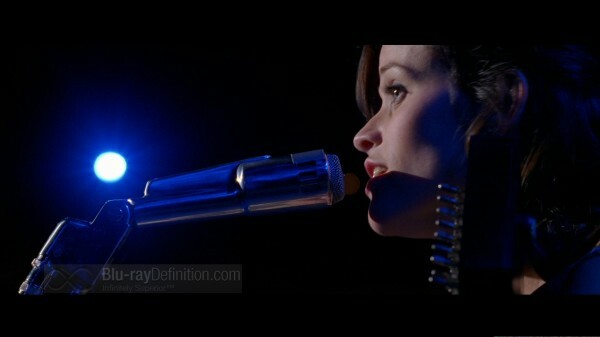 Color reproduction is really good, just check out the deep red lipstick on Reese Witherpoon’s lips. The film’s grain structure is preserved and consistent, giving the picture a film-like presentation. A release like this with so many musical performances can live or die by its sound quality, and thankfully Walk the Line’s English DTS-HD Master Audio 5.1 soundtrack is up to the task. 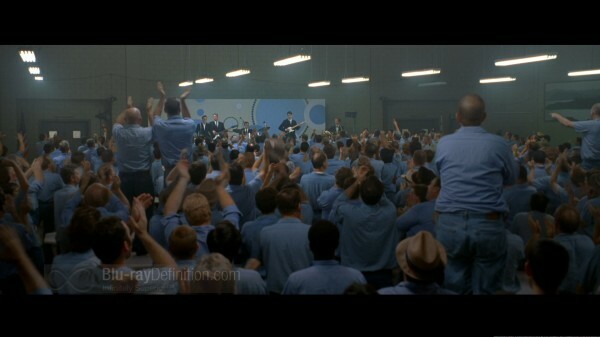 Dialogue is clean, and in the quieter scenes, there is an abundance of atmospheric sound effects to fill out the soundstage. The many musical performances are lively, with wonderful dynamics, deep, yet quick and tight, low frequencies, smooth highs, and loads of ambience in the surrounds. It’s more quality than quantity for the supplements on Walk the Line, but Johnny Cash and June Carter fans should find a lot of interest in the supplements offered on Walk the Line, particularly in the featurettes. Deleted Scenes w/ optional commentary (2.35:1; 1080p/24) — 10 deleted scenes. Folsom, Cash, & the Comeback (1.78:1; 480i/60; 0:11.47) — A look at Johnny Cash’s 1968 “comeback” with his live Folsom Prison concert. Celebrating the Man in Black: The Making of Walk the Line (1.33:1; 480i/60; 0:21.38) — Musicians such as Kris Kristofferson, John Mellancamp and Willie Nelson discuss the influence of Johnny Cash. Ring of Fire: The Passion of Johnny & June (1.78:1; 480i/60; 0:11.29) — The relationship of Johnny Cash and June Carter is examined in this featurette. 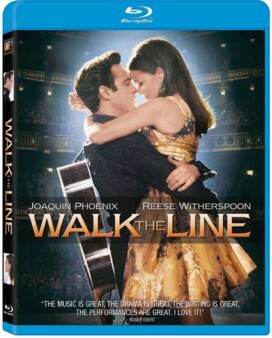 Walk the Line is a reverent and by the numbers biopic that is nonetheless highly entertaining, with strong lead performances from Phoenix and Witherspoon. The Blu-ray release from Fox ups the ante with superb sound and an excellent AVC transfer that makes it all the more entertaining. Highly recommended.